Molly Wood of Molly-Rants CNet fame has accepted Brandon Watson’s challenge to try out Windows Phone and if she isn’t more pleased with her experience, he will donate $1,000 to a charity of her choice. She has updated her blog to “rant” about her final verdict on Windows Phone ‘Mango’ and it’s not really surprising. To sum it up simply, she likes Windows Phone, but doesn’t love it and doesn’t see this as her next platform, instead opting to go with the hot mess, also known as Android. Her frustrations stem mostly from the lack of system-wide speech-to-text, poor turn-by-turn directions implementation and a confusingly buggy HTC Trophy that, for some reason, needs to reboot constantly. Her thoughts on the ZunePass service is that it is a good service, but she balks at the lack of ability to integrate with SkyDrive. For some reason she wants to load the music to a SkyDrive account and then stream from there? Not sure about the logic behind that. Why take music from one cloud and move it to another when it makes sense in its current state? She also shared her thoughts on SkyDrive integration, in general. There is currently very good SkyDrive integration in both the Pictures hub and the Office hub, but the Music + Videos hub is where mango drops the ball. While I cannot agree that Zune Pass should have anything to do with SkyDrive, I do see a need for integration with music and video that non-ZunePass users might appreciate within the hub itself. Overall, her verdict is kind of a wash. Which is sort of a cop-out because by watching the video, you can tell that she is stuck on Android, for some reason, and could never see herself giving props to Microsoft for a well-done product, but what did we expect from CNet? There is clearly a preference-factor here and Windows Phone isn’t for everyone and still has a little ways to go before being a complete solution, but even in it’s current state it’s still a much better platform than the power-hungry, spam-riddled mess that is the Android OS. I can agree with some of her assessment, but let’s be frank, we all knew how this was going to turn out. It’s been a while since we last met, so we thought that we’d invite you to come party – and most importantly see what’s next. There will be the usual food, drinks, music and a few phone treats for you to enjoy. It would be great to see you. If you’re planning on attending, please RSVP to let us know. Just remember that it’s an event for people over 18 and it’s on a first come, first served basis. Everything you see and hear about this being a Windows Phone event is purely speculation at this point, so don’t be surprised if nothing mango-flavoured comes from all of this, but we will be keeping a close eye out on September 1st, just in case. The buz about the Fujitsu IS12T lately is that it might be the first device released with the final Mango Windows Phone OS. If a picture found on Nanapho.jp by Tezawaly is any indication, the rumored release date of August 25th may be accurate. 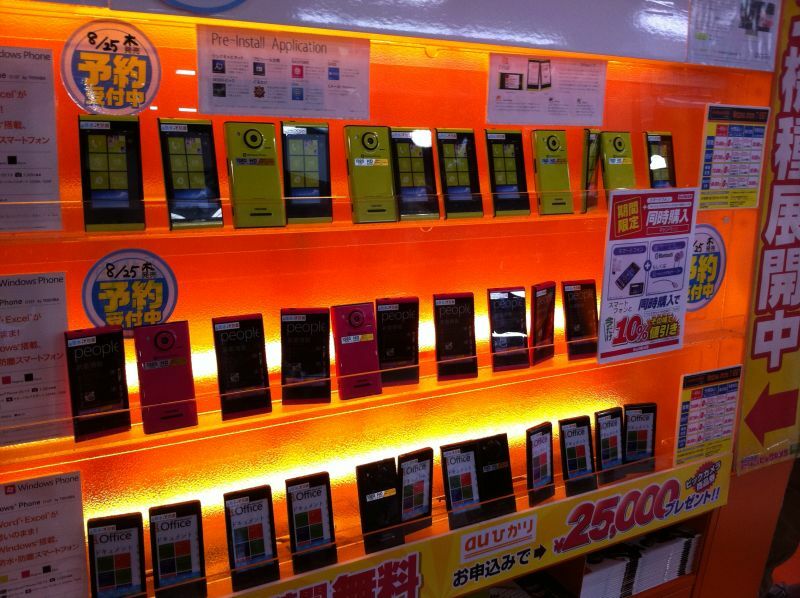 The devices in question were found in the Biccamera Yurakucho store in Tokyo, Japan and were apparently not charged, according to WMPoweruser. Check out the picture below to see the army of devices set to be released. 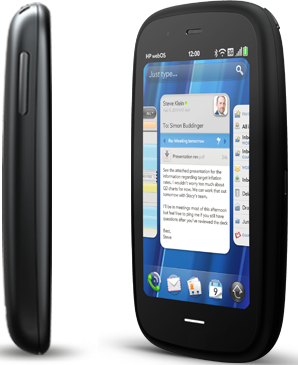 In a seemingly unexpected turn of events, HP announced that it will be killing off their WebOS product. For those unaware, HP’s WebOS is a fantastic mobile operating system that just never caught on with the public, mostly because of a lack of relevant hardware and a scant ecosystem. …HP reported that it plans to announce that it will discontinue operations for webOS devices, specifically the TouchPad and webOS phones. HP will continue to explore options to optimize the value of webOS software going forward. The fate of WebOS is both tragic and heartening. The idea that a platform so inspiring and innovative could so easily fail is a scary proposition for the mobile industry, however, it leaves really four major players left in the smartphone game (Windows Phone, iOS, Android, Blackberry). It’s my belief, and this is opinion, that the mobile market might only be able to sustain three major players and a few other small ones, so with WebOS leaving the game it leaves Windows Phone as the fourth and up-and-comer of the bunch, with Blackberry continuing to cede market share. Windows Phone still has a long way to go before it can pull down the numbers of it’s major competitors (iOS and Android), but the Mango update brings it up to par with features and functionality and at this point, it’s just a matter of getting the word out and getting devices into peoples hands. One thing Windows Phone has in its favor is a thriving app market and ecosystem and a solid hardware manufacturing base. For WebOS. It’s a shame. You will be missed…kinda. Robot Unicorn is a popular flash game from Adult Swim. The flash game became a hit almost immediately and even has a product line because of its popularity. The game “Double Jumper” by GSSoft, which is now available for Windows Phone, takes its cue from Robot Unicorn and brings them to mobile. 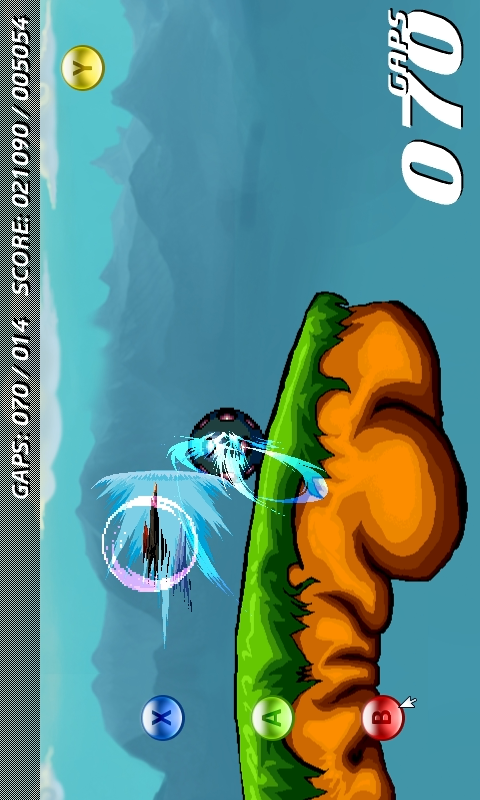 Like Robot Unicorn, Double Jumper is a side scrolling platformer and the object is to prolong gameplay without falling off the platforms scattered about on the playing field. 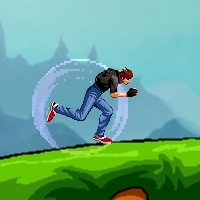 Crashing into the edges, failing to land on a platform or hitting a mine will cause you to fall to the lowest level, resetting your gaps count. You can find this title by searching for “Double Jumper” in the Zune PC software or on your Windows Phone. Microsoft and Bing announced their app called “We’re In” today for Windows Phone. The app essentially allows users to log into the app, along with their friends, and see each others location, making meet-ups and traveling infinitely easier. Just add your phone number to the app and add your friends via your contacts in the people hub and viola, you’ll see exactly where they are and they you. We’re In makes organizing get-together’s, carpooling and trying to find people in a crowd a breeze. Any time you want to see where your friends are—We’re In can help you. It’s simple, invite your friends, and when they join, they’ll see your location and you’ll see theirs. When the invite expires, so does the shared location – no complicated process to worry about. Check out the blog post on Bing for the entire description and a walk-through of the app and its features. 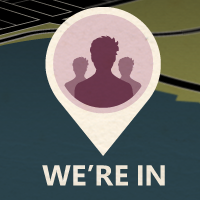 “We’re In” is currently exclusive to WIndows Phone, but is promised for other devices very soon. You can find the app by searching for “We’re In” in the Zune PC software or on your Windows Phone.